15645 place | Vector illustration in rank M-rank: Light Silver, Gray vector template with crystals, triangles. Decorative design in abstract style with triangles. Pattern can be used for websites. 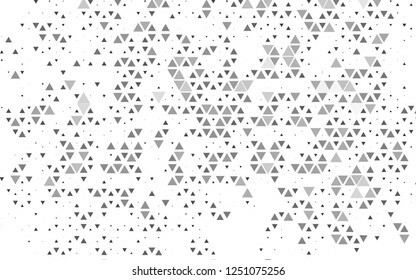 Light Silver, Gray vector template with crystals, triangles. Decorative design in abstract style with triangles. Pattern can be used for websites.